BLACKSBURG, VA. April 1, 2017 —BioTherapeutics, Inc. (BTI) announced today that Drs. Pinyi Lu and Andrew Leber have joined the company to lead efforts aimed at broadening BTI’s therapeutic pipeline and advancing its first-in-class therapeutic asset for IBD toward an open investigational new drug (IND) within a year. Dr. Lu comes with a wealth of industry experience, having spent over 10 years of research experience in drug discovery and development in multidisciplinary teams working in the interface of bioinformatics, computational modeling, preclinical and clinical research. He has also developed and applied novel advanced machine learning-based methods for in silico clinical trials to compare the therapeutic efficacy current treatments and INDs for Crohn’s. Dr. Leber, another Virginia Tech alumnus, joins BTI as Scientific Director to continue the Company’s recent successes in the gastrointestinal (GI) space with BT-11, their lead oral first-in-class therapeutic asset for inflammatory bowel disease (IBD). Dr. Lu comes from Nanjing, China. He graduated from Virginia Tech in 2015 with a master degree in Computer Science and a doctoral degree in Computational Biology. 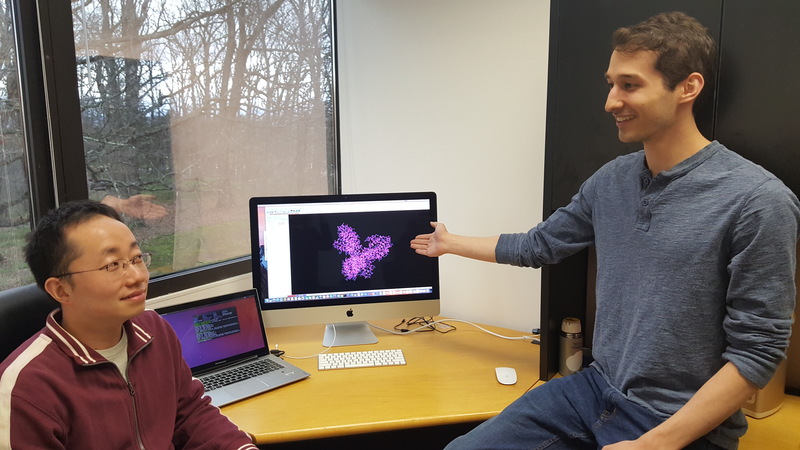 His expertise is in applying computational biology and bioinformatics techniques to identify new drug targets, and develop safer, more effective therapeutics. Dr. Leber is a graduate of Penn State University and Virginia Tech. He has degrees in Bioengineering and Genetics, Bioinformatics and Computational Biology. His expertise spans immunology, computational modeling, data analytics, infectious disease, drug development and metabolism with a focus on the integration of these disciplines. The LANDOS (for LANCL2 technology) program develops first-in-class oral therapeutics for inflammatory bowel disease (IBD), ulcerative colitis and Crohn’s disease, by applying multifaceted approaches that synergistically combine the power of computational modeling with preclinical and clinical experimentation to accelerate the path to safer, more effective treatments for debilitating and widespread human diseases that afflict millions of people worldwide.